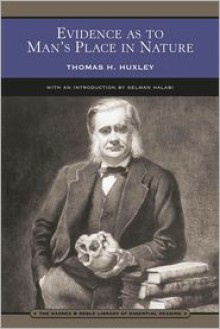 Evidence as to Man’s Place in Nature (1863) has been considered the most important of Thomas Huxley’s Darwinian writings. Despite warnings from friends that publishing an argument in support of evolution could ruin his career, it in fact did the opposite. This book did much to facilitate the general acceptance of Darwinism in Huxley’s day. Huxley demonstrates that humans are a part of the natural order of things and not radically separate from other animals. Anyone interested in the history of the Darwinian revolution or in early anthropology can benefit by reading this book.